This poster basically says it all. 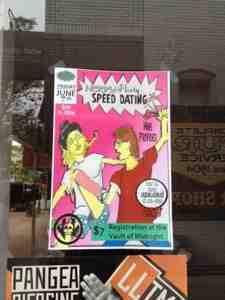 Nerdy speed dating tonight at ABC. Sign up at Vault of Midnight.